Sally (Ake) Nicholas was born in New Zealand, but soon after her family moved to Rarotonga to reconnect with the Cook Islands language, culture and family. She is currently a Lecturer at the AUT University. This Tuesday, Sally will be hosting a workshop open to all, using Toontastic to teach our reo Maori Kuki Airani. Kia orana. ‘Aere mai e te au tamariki, e te au māpū pērā katoa e te au metua kia ma’ani teata kia rere te reo ki te au ngā’i katoa o tēianei ao. Why: If our Reo is going to thrive we need to be able to use it to talk about all the things. What: We are going to buddy up learners with speakers and get them to work together to make some short movies, in Māori, like these ones. 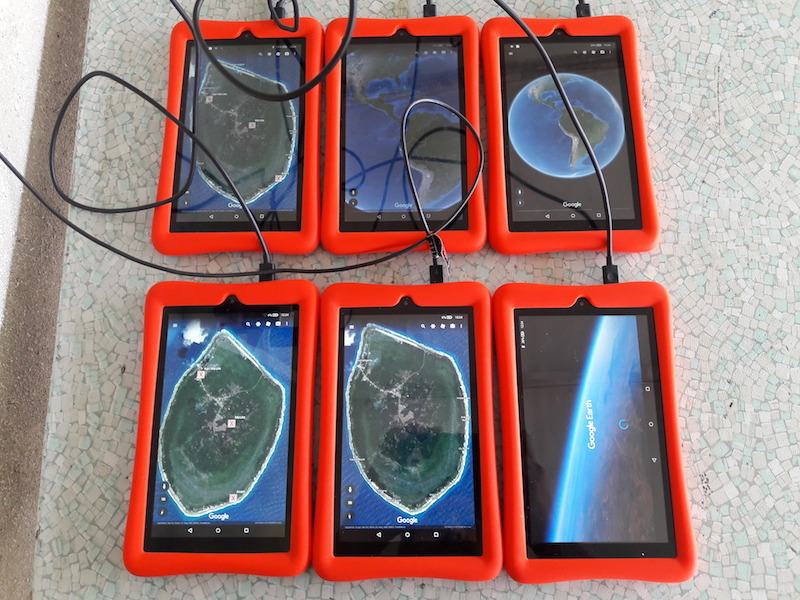 How: We will be able to provide a few tablets if you don’t have one. However, if you do have a tablet (android or iPad) or a smartphone please bring it along with toontastic already installed. There will not be internet access at the venue. Most important though, bring yourselves and your enthusiasm! If you can’t make it on the day and have a smart phone or tablet you can have a play with this software. Emerge Aotearoa provides a wide range of recovery and rehabilitation services designed to empower people to reach their full recovery potential. They believe that everyone is capable of living a meaningful life and are committed to helping their service users to be the best they can be – resulting in improved overall community well-being and participation. 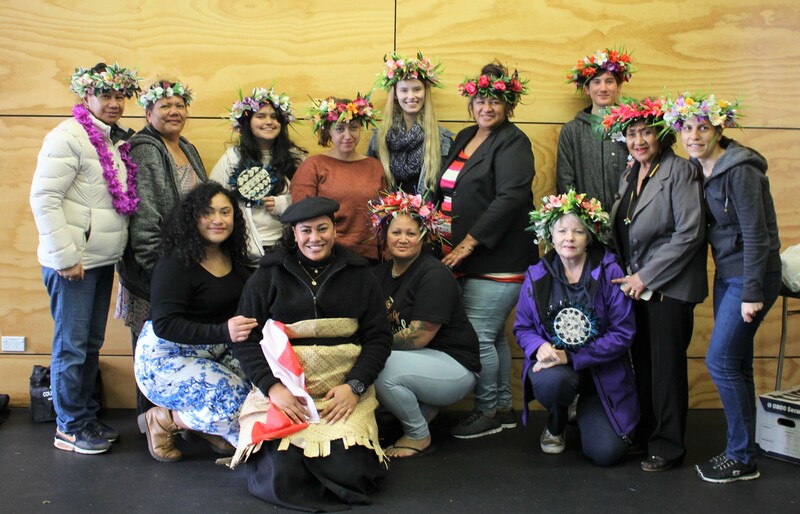 On Wednesday 18 July, Emerge Aotearoa, through Cook Islander Louise Tito, joined forces with the Cook Islands Taokotai’anga Vainetini to teach a workshop on ei katu-making to young people facing difficulties in their life. With changing times, young people are challenged constantly to be the best version of themselves, especially in an environment where social media and the media play a big role in building up the self-esteem of young people. Sometimes being the best version of themselves is not always easy to do, especially when young people don’t have the right people or values in place to support them. And sometimes this leads to depression, anxiety, low self-esteem and many other mental health conditions affecting our mapu. The ei katu workshop was part of three workshops offered on the day. Through it our Mama’s – Nane, June, Mariana and Nana, were able to get to know these young people and through their humor and kindness, were able to bring these young people out of their shells to enjoy a craft most Cook Islanders have grown up with. 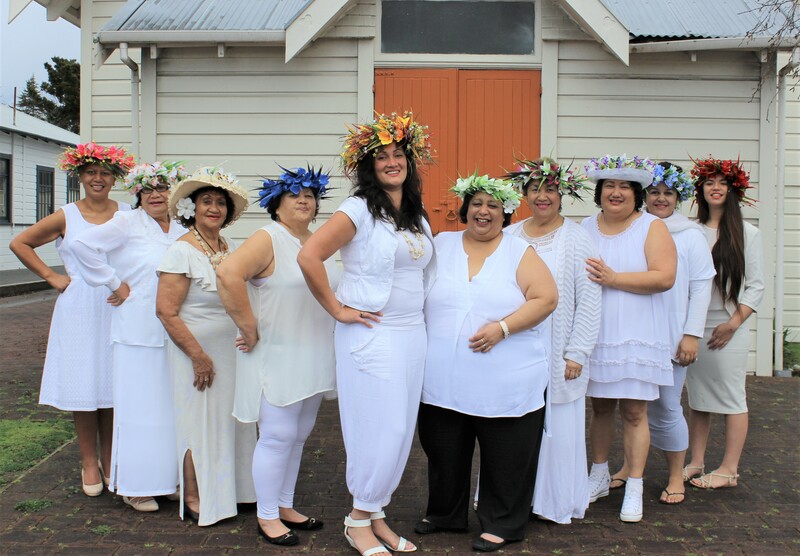 Although the Cook Islands Taokotai’anga Vainetini have been highlighted across several news media articles, as our favorite Auntie Nana Kamo-Matoroa says “we’re more than just a group of women that sew tivaevae’s.” Vainetini’s are a group of skilled women who make Cook Islands crafts. Lately the Cook Islands Taokotai’anga Vainetini are teaching us that they’re more than that, especially through their work with the Sikh Community, and our young Pacific and Maori people. 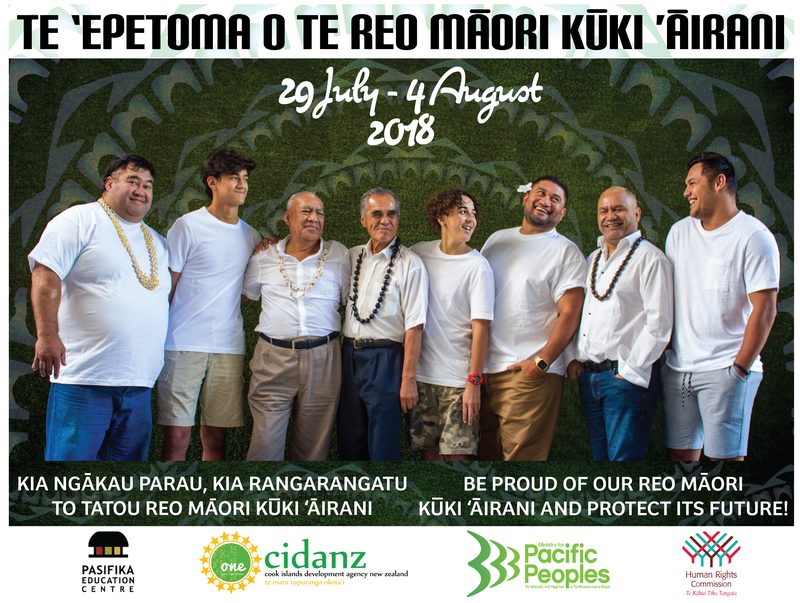 Be proud of our Reo Māori Kūki Āirani and protect its future! 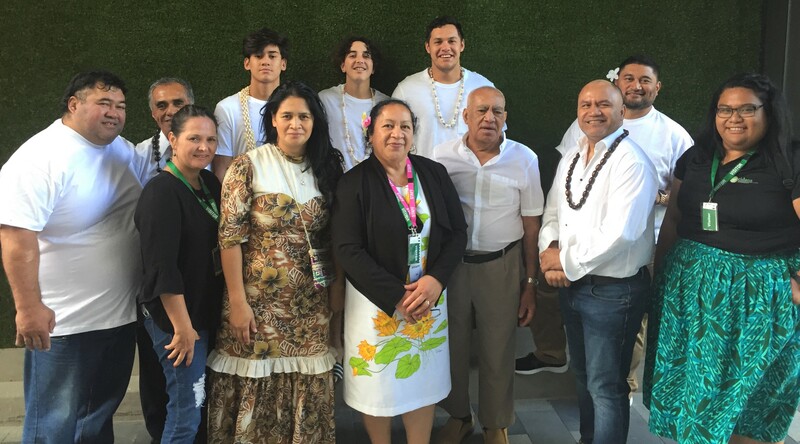 In 2016, CIDANZ proposed to the Ministry for Pacific Peoples, a three year plan to develop the theme and poster for Cook Islands Language Week. In that plan we wanted our Cook Islands communities across New Zealand to share in the development of the theme and language week. This year, the theme was set by the Christchurch community – and as with previous years, the focus on who we needed to hear from, shifted. In previous years, our women have been seen as the nurturers of our language. While our fathers worked, our mothers ensured that our children were brought up in our culture, were educated, and were healthy. With evolving times, women are still seen as the main teachers and caretakers of our language. However, our children still look to their fathers or the father-figures in their lives as examples of their own approach to learning the language. Which is why this year we wanted to hear from our Cook Islands men, both old and young. The workshop we ran with the community raised some interesting views, including the views of a young man in this years poster who commented (paraphrased) that “although I don’t speak it fluently, I’m proud of my language, but I’ll always look to my father to guide me and to teach me.” As with several views expressed in the workshop, it was a poignant statement that fed into this years theme. For a PDF version of the poster, contact Janet at janet@cidanz.co.nz. 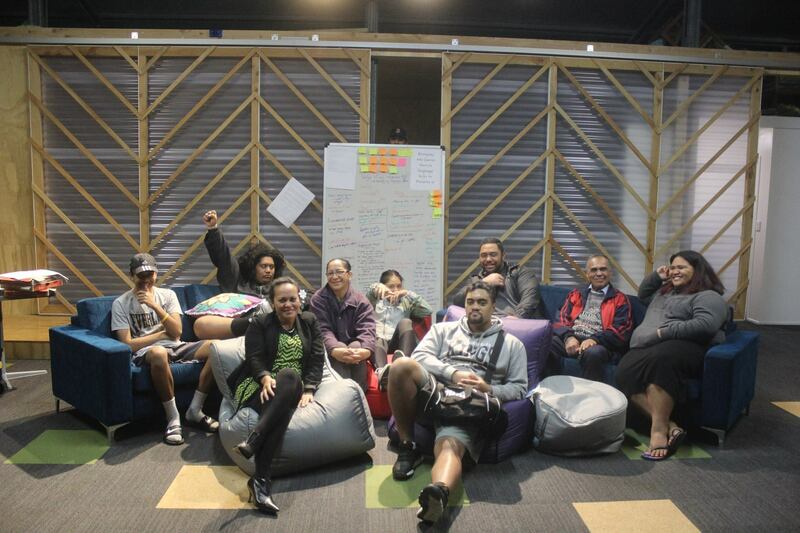 Venue: oneCOMMUNITY S.H.E.D, 283 – 289 Kirkbride Road, Mangere. Hosted by the Board of Trustees, the AGM will provide the community with an update of the organisations developments from the past 12 months, and our next stages of development over the next 3 years. If you have any questions, please feel free to email our Communicatons Manager on janet@cidanz.co.nz. NOW CLOSED – Funding applications for CILW community activities & events! The annual ‘Epetoma o te reo Māori Kūki ’Āirani: Cook Islands Language Week is being held from Sunday 29 July – Saturday 4 August 2018. 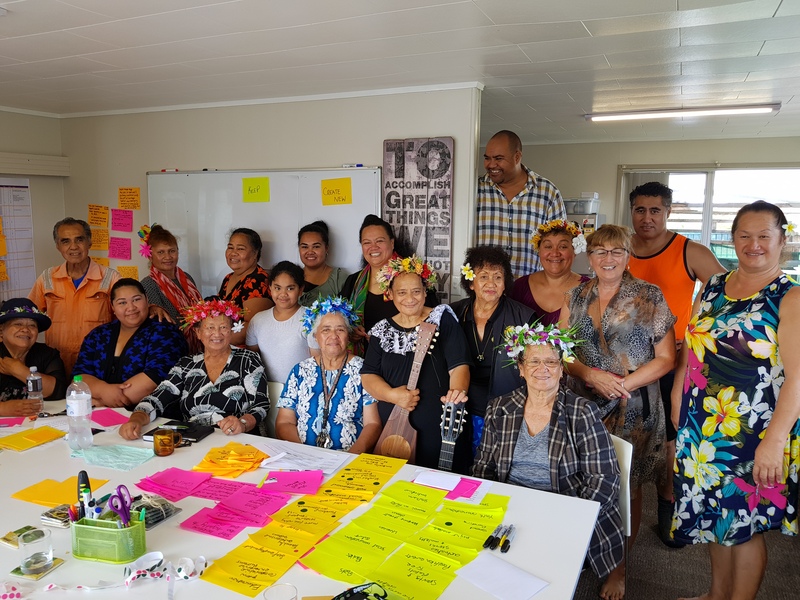 The Ministry for Pacific Peoples (the Ministry) supports community efforts to encourage the preservation and retention of the Cook Islands language by Cook Islanders living in New Zealand. In 2012 the Ministry in partnership with CIDANZ and the Human Rights Commission (HRC) delivered the first Cook Islands Language Week. 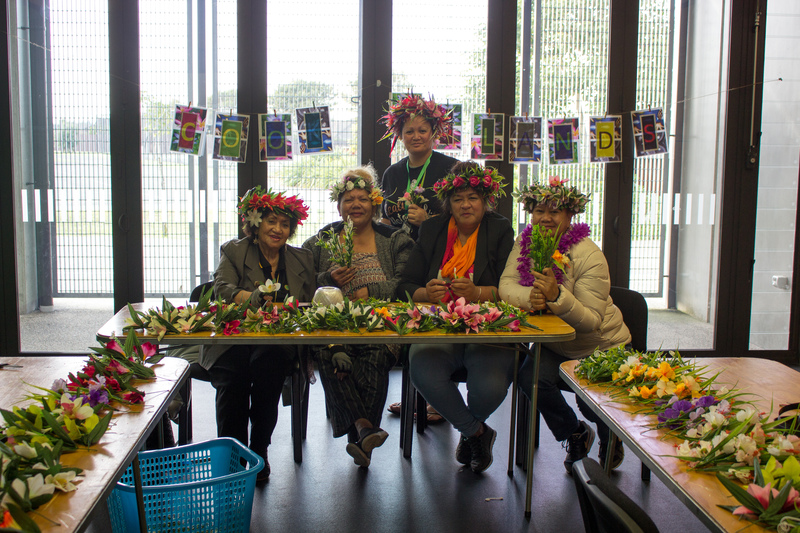 Since 2012, engagement in Cook Islands Language Week has grown and is being celebrated across New Zealand through schools, tertiary institutions, workplaces and communities. Cook Islands Language Week is a chance for all Kiwis to celebrate our rich language and beautiful culture. If your community, organisation or group is holding an activity/event in celebration of Cook Islands Language Week 2018, applications are now open from today 2 July, and will close on Friday 20 July, 1.00pm. Your applications will be assessed by Wednesday 25 July, the results of which will be communicated back to you via email. Articulate in written form how your activity, event, or workshop will contribute to the following: use of language, awareness, resources, literacy proficiency – knowledge (speaking, listening, and writing)? Clearly outline your budget distribution across all activities. Provide a calendar of events/activities to be held. Activities should not weigh heavily on ‘catering’ as the key component to gathering the community or holding the event. Provide an accountability (financial/none financial) report with a small write up and photograph of the activities/event held. Organisation or Group must be based in New Zealand. For any questions or to submit your application, please contact Janet Akai at janet@cidanz.co.nz. http://www.cidanz.co.nz/wp-content/uploads/2017/10/Header_v3.png 0 0 Janet Akai http://www.cidanz.co.nz/wp-content/uploads/2017/10/Header_v3.png Janet Akai2018-07-02 14:16:182018-07-20 14:56:25NOW CLOSED - Funding applications for CILW community activities & events!